1. Pound pork chops then season with salt and ground pepper. Set aside. 2. In a baking sheet lined with aluminum foil, arrange pork chops the brush with barbecue sauce. Cover with aluminum foil. 3. Baked in a preheat oven for 40-50 minutes or until tender. 4. Remove from oven. Brush with remaining barbecue sauce. Serve with buttered veggies. 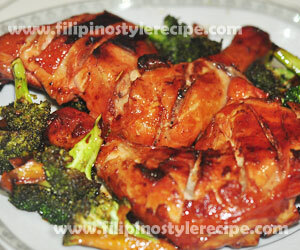 Filipino Style Recipe: baked hickory smoked chicken is another variety of mouth-watering chicken barbecue dish. Instead of cooking the chicken in hot charcoal, we parboil, marinate in hickory smoked barbecue sauce and bake the chicken until tender. 1. In a pan, arrange chicken then season with salt and pepper. 2. Parboil for 15-20 minutes. Drain and pat dry. 3. Prick the chicken several times with a knife. 4. Brush with hickory smoked barbecue sauce then refrigerate for at least 4 hours or overnight. 1. Preheat oven at 350 degrees Fahrenheit. 2. In a baking pan, drizzle with olive oil then arrange marinated chicken. 3. 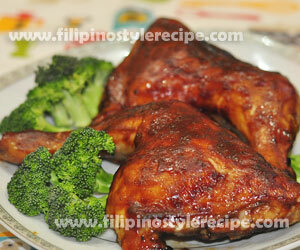 Bake chicken for 45 minutes, basting with barbecue sauce every 15 minutes. 4. 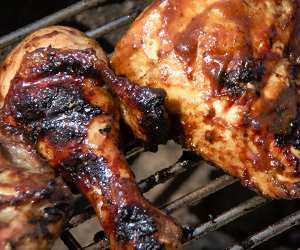 Remove chicken from the oven and brush again with the barbecue sauce. 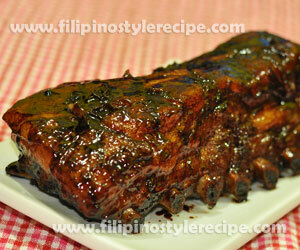 Filipino Style Recipe: Baked hickory smoked baby back ribs is a popular dish in Western and Asian Cuisine. 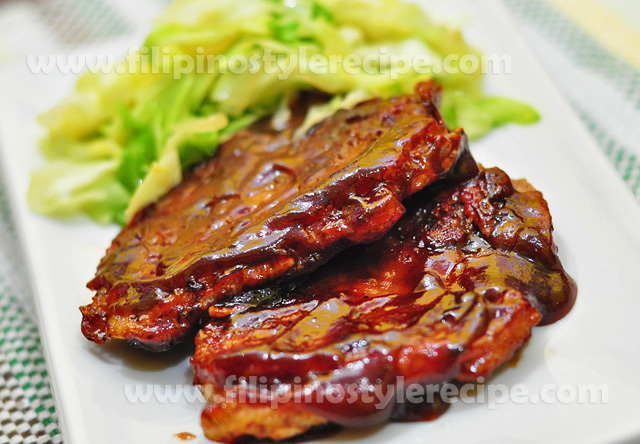 This dish is consists of loin ribs or back ribs marinated in hickory smoked barbecue sauce then baked until tender. 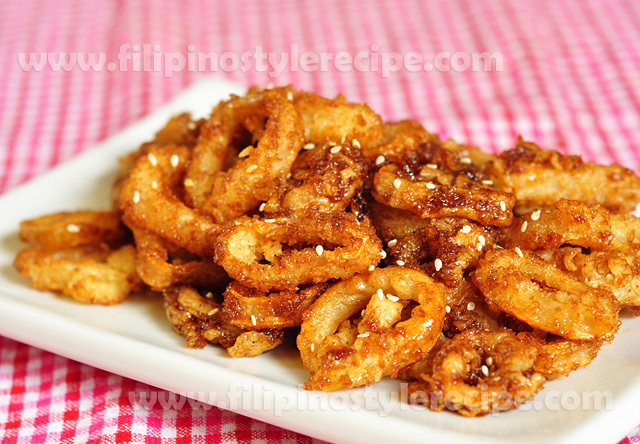 This is usually served as main dish together with steamed veggies and mashed potatoes or rice. RACKS is one of the best restaurant that offered this kind of dish. 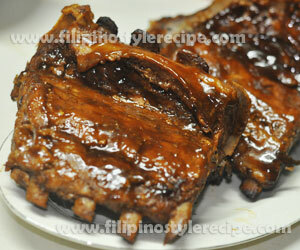 Their version of hickory smoked baby ribs is very tender and the meat falls off from its bone. 1. Remove the silvery membrane at the interior side of the rack by simply cutting a small piece at the edge and peeling it off with your finger. 2. Prick the meat several times with a knife. 2. Brush the ribs liberally with hickory smoked barbecue sauce. 3. 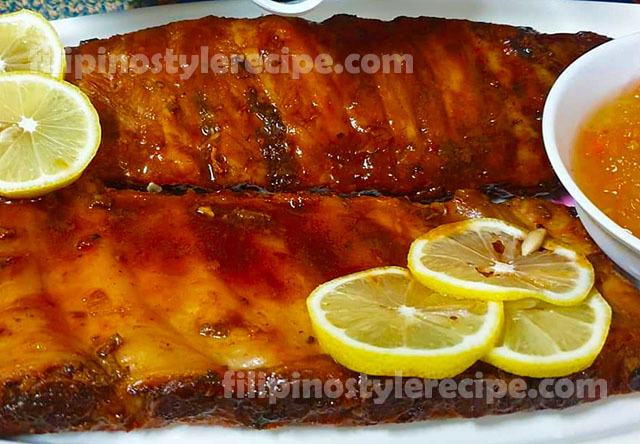 Wrap each rack of ribs tightly in aluminum foil then refrigerate for at least 4 hours or overnight. 1. Preheat oven at 250 degrees Fahrenheit. 2. Bake the meat in the preheated oven for 2 1/2 hours or until tender. 3. 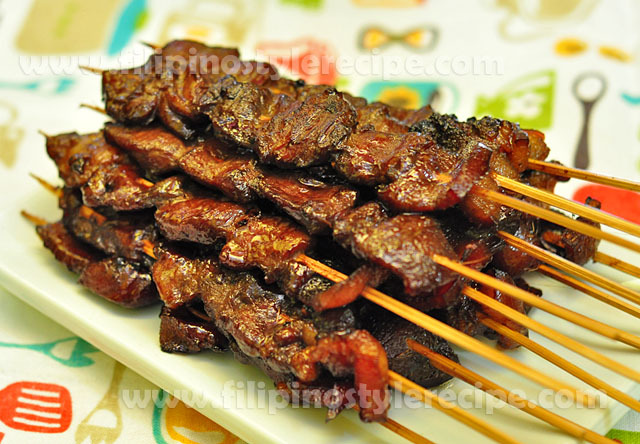 Remove the meat from oven, open foil and brush another layer of barbecue sauce. 4. Set the oven to 350 degrees Fahrenheit then put the meat back to the oven and bake for another 10 minutes. 5. Repeat the brushing and baking for four times at 10 minutes each. 6. 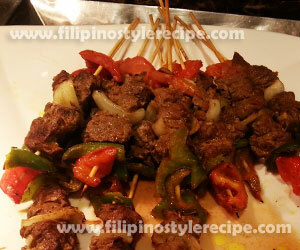 Remove the meat from the oven and brush again with the barbecue sauce before serving.